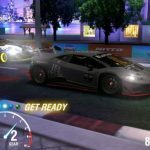 No Limit Racer, a new mobile title which was developed by Caner Kara, adds a casual twist to racing games, and it’s just appropriate that this title is available for both Android and iOS devices. What makes this game more casual, though? Well, this game happens to be an endless racer, where you control a “fast x-plane racer” and navigate through an “endless abstract world” of obstacles. You can collect credits per race, which you can then use to buy new planes. The game does promise lots of different space vehicles for you to choose from. 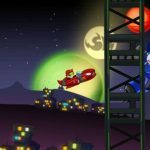 If you’re familiar with old-school racing games, particularly those with spaceships, No Limit Racer may likely appeal to you, and bring back some memories. If you really want to enjoy this game, you’ll want to earn more credits and purchase more space vehicles. 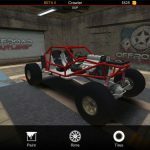 Read our No Limit Racer tips and tricks and we’ll be happy to help you with those things. 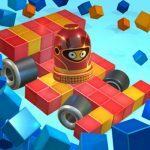 If you’re used to controlling vehicles in racing games by tapping on a left or right button, you’ll need to get used to things in No Limit Racer. That’s because you’ll have to tilt your phone left or right in order to control your spaceship. There’s a chance conventional touch controls will be added, but for now, you’ll have to make do with tilting your phone. It’s not going to be easy, but if you remember to tilt your phone more so than you usually would, you should get a hang of things faster. As you fly through space, you’ll encounter blue and green rings. Blue rings will earn you 500 credits right then and there, while green rings will earn you 500 credits, plus a turbo boost that’s good for a few seconds. While the turbo boost obviously helps you move faster, you’ll want to be prepared for the caveat – it becomes tougher to avoid obstacles. 3. Should You Rent Credit Bonuses Or Not? At the bottom of the ship store, you’ll see an area where you can rent credit bonuses. You have the choice to rent credits for one race, which shouldn’t cost you much, though if you want these credits to last longer, you’ll have to pony up some currency. One rental doubles your credits, while another triples them, so it’s going to be worth it if you’re able to go far on your ship. As this is a new game, there are some features missing that you’ll certainly wish were there. But at least the game does allow you to watch ad videos in order to earn more credits. Each video gets you 500 credits a pop for watching, and you can keep on watching as many videos as the game serves up. Unfortunately, the developer didn’t make the new ships any better or any worse than your default ship. That means the only differences are purely aesthetic, and while this is common in casual games, one can also hope that the developer adds some ship attributes on a future update.